Canada's inflation rate inched up to an annualized 1.4 per cent in August, as gasoline prices and airfares got more expensive. Statistics Canada reported that transportation costs rose by 2.8 per cent in the year up to August. That's up from a 1.9 per cent annual increase the previous month. 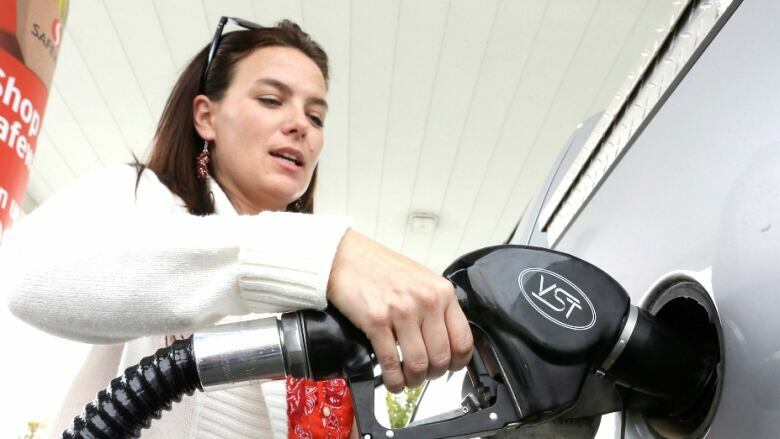 Gasoline prices were a major driver of the increase, up 8.6 in the past year. In addition to prices at the pump, Canadians paid more to fly during the month. "Air transportation costs grew at a greater rate on a year-over-year basis in August than in July," the data agency said. Food prices, meanwhile, which had been getting cheaper earlier this year because of the rising loonie have now reversed course and are getting slightly more expensive again. The price of meat has increased by 1.1 per cent, on average, in the past 12 months. Fresh fruit prices are up by 5.6 per cent over the same period, and food at restaurants has gone up by 2.6 per cent in the past year, Statistics Canada reported Friday. "Grocery price deflation has now officially ended, with prices poking into positive territory after nearly a year in decline," BMO economist Sal Guatieri noted. After hitting a two-year low earlier this summer in June, the cost of living is ticking steadily higher, and at least one economist expects that trend to continue. "The uptick in goods prices is likely to be more pronounced in September due to the spike in gasoline prices in the aftermath of Hurricane Harvey, and there may be some upward pressure on fresh foods and vegetables later this year related to the damage that Hurricane Irma has wrought upon Florida's agricultural industry," TD Bank economist Fotios Raptis said. "However, the strong advance in the Canadian dollar should begin to exert downward pressure on goods prices in the months ahead." The overall inflation rate increased in every province except Manitoba, where it was unchanged at 0.9 per cent. The inflation rate is one of the major factors that the Bank of Canada looks at in setting its benchmark interest rate.